Fr. Andrey noted that he shares Lomonosov's opinion "that if aliens are not sinners then they do not need the sacrifice of Christ on Golgotha, as they live with God, but if they are sinners then that redemptive sacrifice of Christ is given for them as well, since the people of Erzya, like the Venus inhabitants, were unknown to the apostles." The theologian also pointed out that in apostolic times people "knew nothing" about inhabitants of Australia and America, but "it turned out that there existed entire cultures and no one of Bible times knew about them," however, "Christianity accepted them easily and we can't even say that it adapted to these cultures," on the contrary, "Christianity remained the same even in Australia." "If aliens are people with reason, free will and flesh then everything that Christianity says about people will refer to them," Fr. Andrey said, and noted that he "wouldn't trust any reports about contacts with reasonable creatures." Every religion says that man is not the only rational form of life in the Universe and the Orthodox teaching also says that "spirits can adopt shapes of physical flesh and contact people," Fr. Andrey reminded. He assumes that if in the shape of an alien there comes a spirit "who humiliates Christ, giving him a 'kiss of Judas', then it is demon" and his aim is to convince us that "Christ is not God, but just a translator of someone's 'secret knowledge.'" "And no matter where these 'teachers' live, in Himalayan Shambala or on another planet. Such myths can be different. 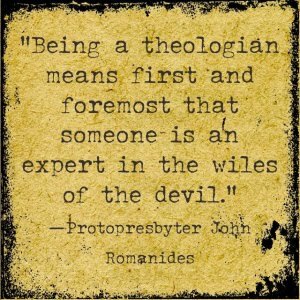 But they have the same anti-Christian sting," the Orthodox theologian believes.